After a brief moment of silence for the recent tragedy in France, the Rangers (13-2-2) and Senators (8-5-4) were set to go for the first of three matchups this season. 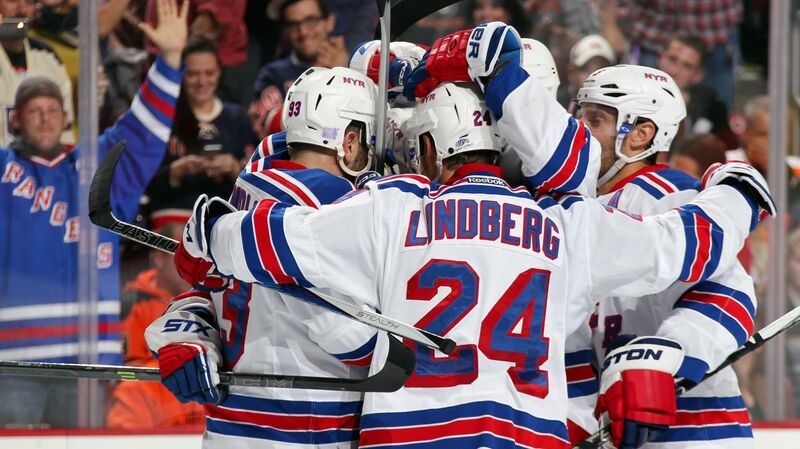 The Rangers went 2-1-0 against Ottawa last season, winning once at home and once on the road. In Saturday’s afternoon game, the Rangers proceeded to extend their winning streak to 8 straight with a 2-1 shootout win. It was easy to tell that the Rangers intended to set the pace of this game, and as always, it was a fast one. Giving up the first couple of shots on goal, the Blueshirts rebounded and played the up-tempo game they’re used to. They were able to sustain a significant amount of offensive pressure, and this led to quality scoring chances, particularly Miller’s chance with a wide open net. Kreider took a snap shot from the point, and Anderson’s attempt to stop it caused him to slip. JT Miller had the puck at left circle but failed to capitalize on the open net opportunity, and the game remained scoreless. Quite a few odd-man rushes by the Rangers led Michalek to take a hooking penalty on Keith Yandle, which put his team down a man. Just 38 seconds into the power play, the Rangers cashed in on the opportunity. A Kevin Hayes’ wrist shot was redirected by the awaiting stick of Chris Kreider, who earned his third goal of the season on a very alert play. 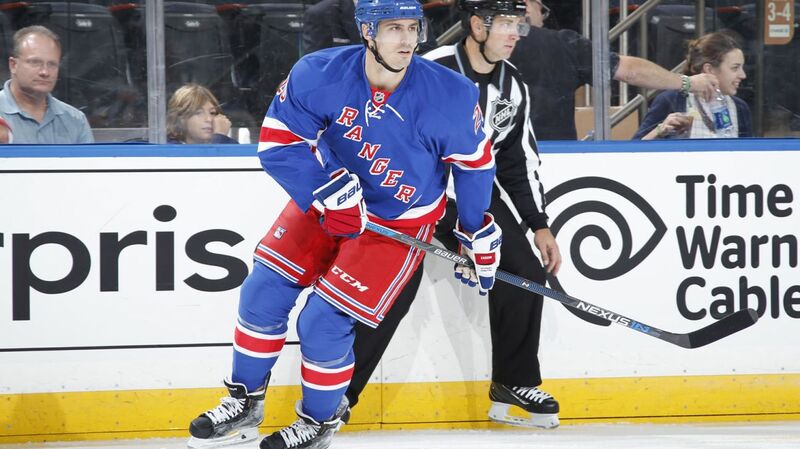 Chris Kreider has played well as of late, and tallied his third goal of the season on the power play. Photo courtesy of MSG Photos. Jesper Fast took a penalty late in the first period, and it was the Rangers’ turn to be shorthanded. A good defensive play led to a three on one shorthanded rush for the Rangers, but McDonagh fell down before Nash’s pass got to him, and the Senators brought it back the other way. On a pretty passing play, Erik Karlsson received his third goal of the season. Henrik Lundqvist provided his team with a fleury of brilliant saves on an Ottawa rush to keep the game tied, 1-1. The first half of the second period was dominated by the Senators, and they did a much better job killing the second Rangers’ power play, which saw only two shots on goal. Both teams seemed to be trading power play chances as Jarret Stoll got called for hooking just about eight minutes into the middle period. However, the Senators did not record a shot on goal on this man advantage due to the Rangers’ strong play. JT Miller’s third shot on goal was his best chance to put his team at an advantage, but Anderson robbed him of the goal with a great pad save. With four minutes left in the second period, Kreider felt the need to stand up for teammate Derek Stepan when he got elbowed in the head. It cost him, though, as he was penalized for seventeen minutes. Shortly thereafter, Jarret Stoll headed to the penalty box for the second time in this game, again on a hooking call. The Blueshirts were determined to keep the game tied, and Dominic Moore helped the cause, forcing play up the ice and into the catching glove of Anderson. The Rangers seemed to have adopted a new strategy for the penalty kill where they refrain from dumping the puck in the zone if they have the ability to skate it in. It looked as if they tried to sustain offensive pressure, and it worked well for them. The period ended with the Rangers outshooting the Senators 21 to 17. 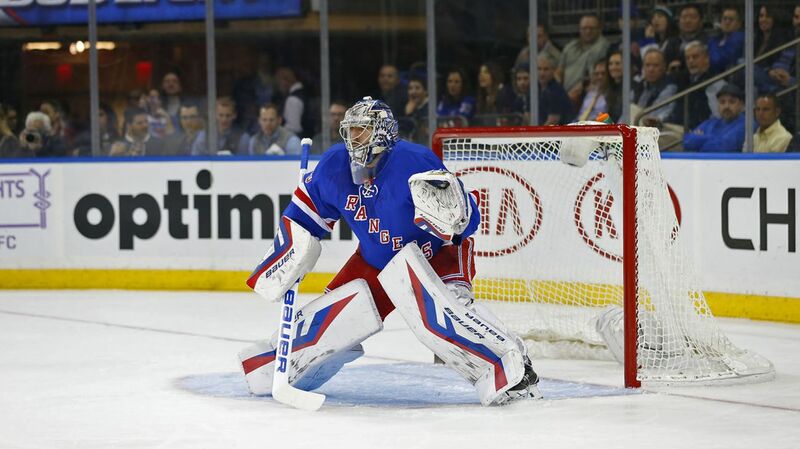 Lundqvist kept his team in the game with a great couple of saves. Turris took a hard shot from left circle but The King denied him the goal, kicking out the left pad. Kevin Hayes took advantage of a great defensive play by the Rangers, racing in on Henderson but couldn’t get a shot off because he was hooked on the play. However, there was no penalty called, and the intense game remained tied. After missing nearly an entire period, Kreider came back strong, forcing a final push, but it wasn’t enough to prevent OT. 58 seconds into overtime, Erik Karlsson’s backhander was saved by Lundqvist, and Ryan McDonagh came back down the ice, taking a wrist shot that was gobbled up by Anderson. Hayes, Yandle, and Klein each had a shot of their own but were denied by the Senators’ alert goaltending. Both teams had a shot ding off the post, and a heart-pounding OT was headed into a shootout. Bobby Ryan shot first for Ottawa, putting a goal between Lundqvist’s legs. The Rangers needed to score to tie it up, but Nash had the puck skid off his stick and wide of the net. Lundqvist came up big, though, saving Turris’ wrist shot and giving his team an opportunity to tie the SO. Zuccarello, who is 44% all time in shootout goals, took a wrist shot that went just above Anderson’s shoulder and into the back of the net. It was Dan Boyle, though, who put things away for the Rangers, giving them their 28th point of the season with a beautiful shot. JT Miller played one of his best games of the season. He forced many quality scoring chances and was a physical force on the ice throughout the entire game, despite not getting ice time in the overtime. Ryan McDonagh looked great, as well. He blocked many shots, skated well, and was a huge part of the Rangers’ win. Zuccarello recorded his first career hat trick. Be sure to catch it at 7:00pm on MSG and MSG2. Posted on November 15, 2015, in Game Recaps and tagged Alain Vigneault, Bobby Ryan, Chris Kreider, Dan Boyle, Dan Girardi, Derek Stepan, Derick Brassard, Dominic Moore, Dylan McIlrath, Emerson Etem, Erik Karlsson, Jarret Stoll, Jesper Fast, JT Miller, Keith Yandle, Kevin Hayes, Kevin Klein, Marc Staal, Mark Stone, Mats Zuccarello, MSG, New York Rangers, New York Rangers blog, NHL, NYR, Oscar Lindberg, Ottawa Senators, Rangers, Rangers blog, Rick Nash, Ryan McDonagh, Viktor Stalberg. Bookmark the permalink. 2 Comments. very good article but how come no mention of the cheapshot on stepan and kreiders response? ?